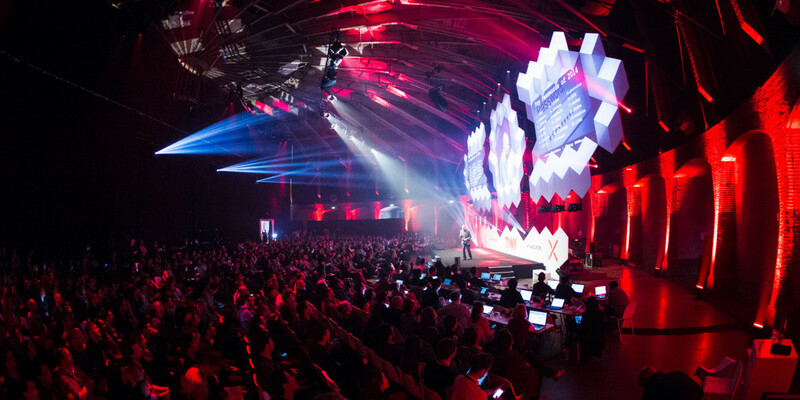 Back in August, TNW Co-Founder Patrick announced that 2016 would be a very special year for TNW Conference. Our flagship Amsterdam event was set to scale to 20,000 attendees, 10 stages, 500 startups, a music festival and 140+ side events: all day and all night. As soon as the news broke, we experienced awesome enthusiasm left, right and centre, including Amazon’s CTO Werner Vogels being one of the first to pop up in our timelines as attending. For others though, our massive announcement was just a PR move; one they claimed we had neither the intention nor the ability of pulling off. For those people, we’ll skip past the 10 years of conference experience that TNW has worked hard to build up, and move straight to the social proof – below you’ll find just a handful of the show-stopping speakers that were instantly eager to get involved. As you can see, our lineup already includes individuals that can lay claim to some incredible achievements: from helping to democratise the flow of content online and changing how presidential candidates conduct their campaigns, to disrupting the way we manage our work and how we shop. We’re also speaking to plenty of other incredibly exciting names, with a further 25 already confirmed – so we’ll be adding speakers of the same caliber to our lineup every month until May 2016. Stay up to date and secure yourself a free 2-for-1 ticket voucher at the same time by signing up for our newsletter here. A man that has changed the way we consume content forever. We’re thrilled to finally add him to the bill. Back in 2008, his product helped Obama secure $60m in extra donations with a simple A/B test, now he’s helping almost every Presidential hopeful do the same. His thoughts on productivity, backed by 10 years of experience and 15,000,000 users. The man behind the fastest European business to ever break a billion dollars. Zalando now takes $2 billion per year and is valued at $7 billion. Due to an unprecedented number of voucher signups, we’ll be holding our first 2-for-1 ticket sale in just two weeks time. The conference is still a long way off, but on October 14 you’ll have the opportunity to secure tickets at the absolute cheapest price point available. All you have to do is leave your email here to receive your free 2-for-1 ticket voucher.